Moses gave a curious command: “Show no pity: life for life, eye for eye, tooth for tooth, hand for hand, foot for foot.” This seems to be an excessive response when one is wronged, but given the culture of that day, it was actually a move towards moderation. For example, when Jacob’s daughter Dinah was raped, her brothers avenged her violation by killing the perpetrator and all the men in his village and then sacking the city. That is excessive—and what God, through Moses, wanted to rein in with his “eye of eye, tooth for tooth” imperative. 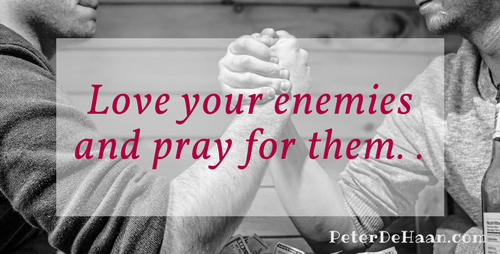 Jesus, however, took this one step further when he told us to love our enemies and pray for them. That’s how we should act today—lovingly, not vengeful.